I’ve said before how much I LOVE reviews from children. I write children’s stories and it’s always lovely to get nice words said by anyone, but comments from the actual readers is what really matters. Even though I’ve been very lucky with the reviews I’ve had (so far! ), I’ve learned to be prepared for some brutal honesty – which I love!! I was asked to take part in a great scheme called Kids Read Write Review, where children are asked to read and comment on a collection of books. It is run by the incredibly enthusiastic Steph Roundsmith and I was delighted to get a load of reviews from a local school. It was great fun reading these fantastic pieces of work. 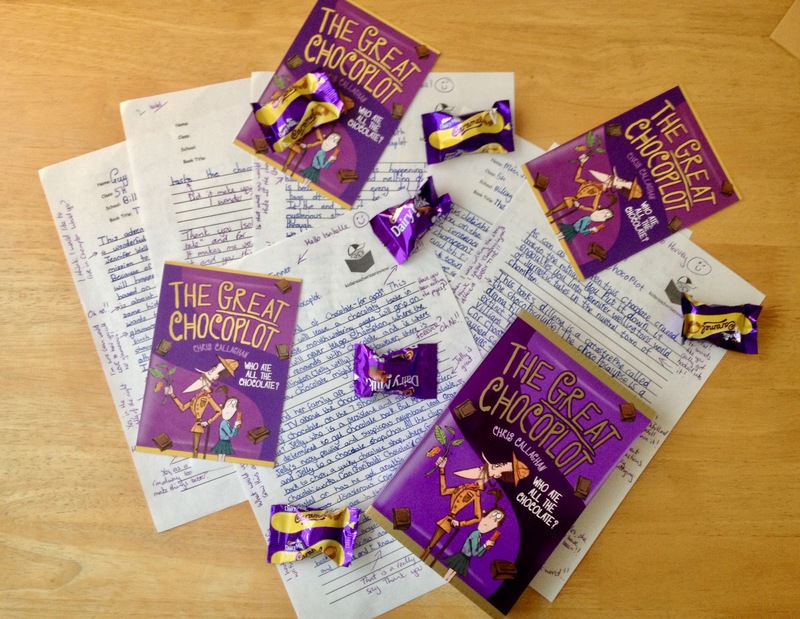 I’m very grateful to all the children for reading my book and then taking the time to write such fab reviews (luckily, they were all really lovely!). It’s great to get Amazon or Goodreads reviews (hint, hint!!) but these are the reviews that will mean the most. Looking forward to being in the scheme next year and many thanks to Steph for getting me involved.